Large decks for Model H tractors have a new adjustable footrest. First introduced with the R64 deck, the S60 and R52 will now use the same design. Large decks for the MH tractor have a new adjustable footrest. First introduced with the DR64R deck, the DS60 and DR52 will now utilize the same design. There are two individual footrests that are easily adjusted in six fore-and-aft positions to suit operator leg lengths. Also, the new footrests retract, and along with a new belt drive cover, allow the deck to tilt up without removing the cover. Deck tilt-up is made easier using stronger counterweight springs and new hook geometry on the deck carrier frame. Molded rubber side-discharge shields replace the metal shields on DS42 and DS48 decks, offering increased durability. Heavy metal framing attaches the rubber shield to the deck discharge opening. The new shield assembly will fit on earlier units. 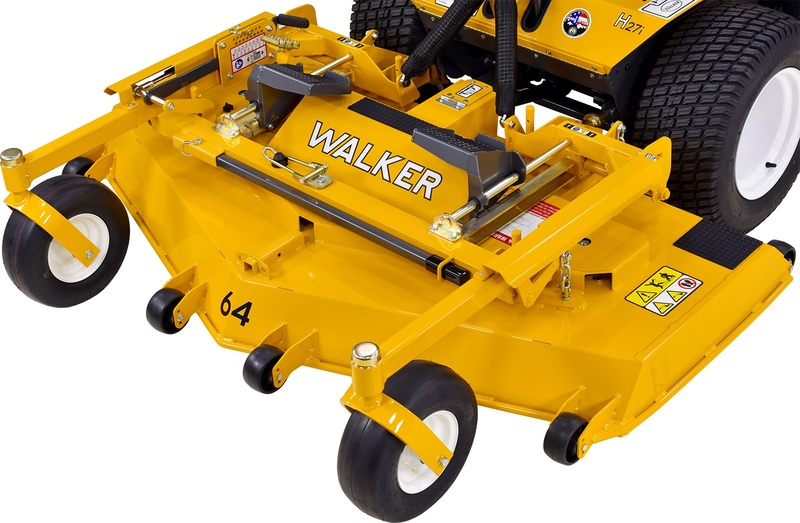 Outdoor power equipment (OPE) dealers graded their top manufacturers in a recent survey sponsored by Green Industry Pros magazine, the results of which were published in its November/December 2015 issue. 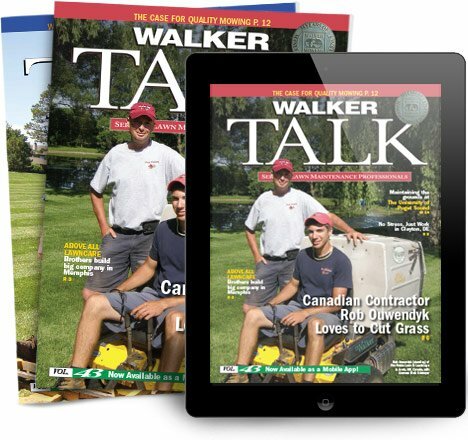 Two years after introducing the redesigned Model S14, the sales of this model have quickly grown to become the third most popular Walker model at 11% of sales.